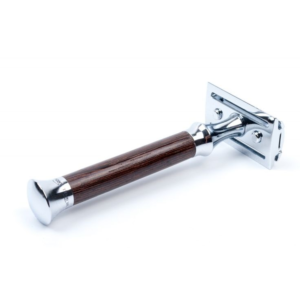 Timor Stainless safety razor at Edward's shaving shop London. This is a unique razor from the masters at Geisen. The thin handle makes it rather delicate, but it is so solid and strong. The reasons for this is that it’s stainless steel and hand made. 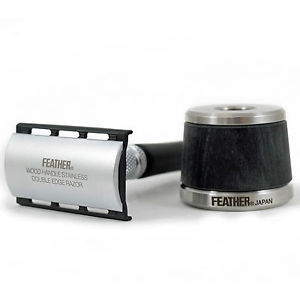 It is a thing of beauty that is hand rolled and machined by 3 rd generation razor makers. The head is diecast and again stainless steel. 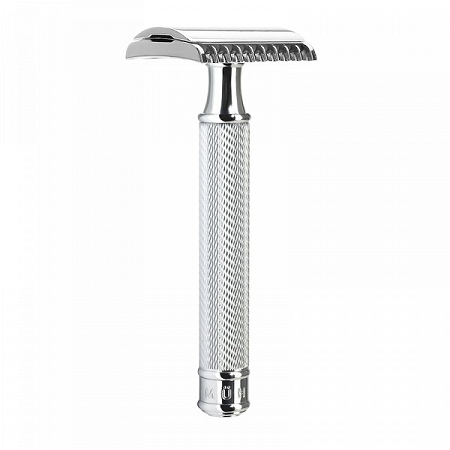 Closed comb for a middle aggressive shave, this makes the Timor Stainless safety razor a great all round shave. 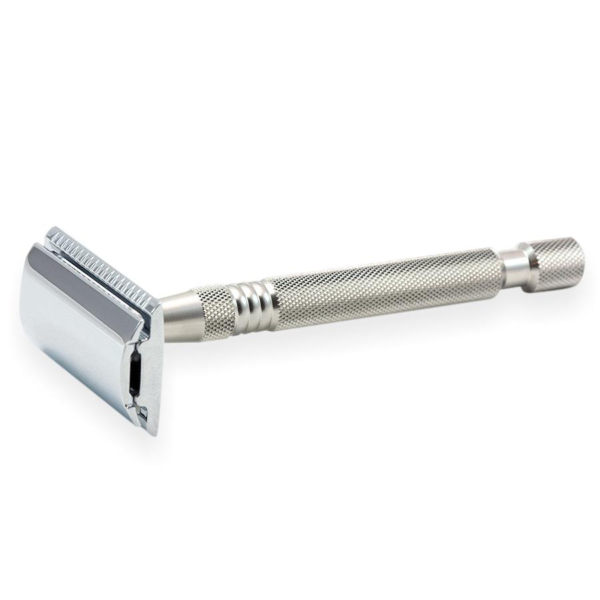 An 84 g razor in total weight makes this heavier than a lot of Timor’s but that is down to the stainless body. Also the length is 100ml which is far longer than the average razor. However if it was not thin you could use it as a dumbell. Giessen are old German shaving company who made their mark in the 1920s. Which was really the golden age of shaving. The Golden Age that Edward’s shaving shop is resurrecting. This really is an elegant razor that will last a long time. 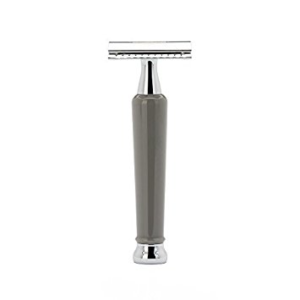 Another benefit of this razor is it comes with 10 high quality blades that are perfect for the 1325 model. Not to worry if you run out we have 10 different varieties of DE blades for you to choose from. They come in a universal size, so there is no need to worry wether they will fit or not. Next day delivery on all goods is another Edward’s perk and good reason to use our great company. This is a razor for life and it is really a solid tool for you to use every day. It will be good to shave light stubble and heavy beard grain. If you are unfamiliar to DE shaving why not look at our top blog which is full of great tips for you to read.